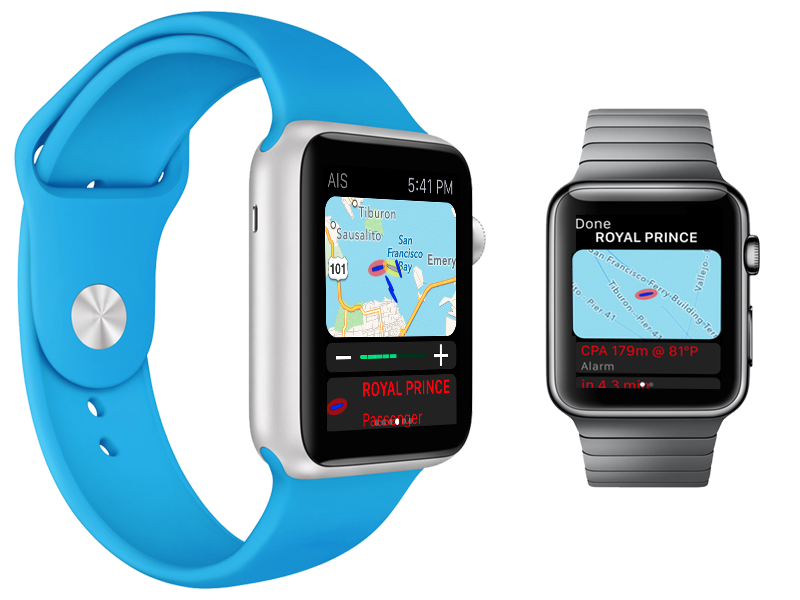 Here are some tips/pointers from our initial experience of using the Apple Watch with our Boat Beacon app. 1. By default the Apple Watch shows a watch face when you raise your wrist to look at it. If you want to see your nav data on Boat Beacon you have to press the crown and select Boat Beacon. This is really annoying when you want to see your navigation information at the flick of your wrist. Fortunately there is an option in the Apple Watch app on your iPhone to ensure the Boat Beacon app (or whichever app you were using last ) stays on top – its in My Watch/General/Activate on Wrist Raise/Resume Previous Activity – make sure this is ticked. 2. You need Boat Beacon on your iPhone/iPad to be in Sailing mode (Sailing button bottom left selected) to get SOG, COG , Heading and CPA/AIS information on Boat Beacon’s watch app display. The same applies to our SeaNav Watch app which also has a Waypoints display. 3. iPhone Battery is draining much faster when SeaNav or Boat Beacon app has been run on my watch even though it is no longer being displayed on the watch and I am not running the apps on my phone/iPad. We need a way to exit the SeaNav app on the watch more easily – either from the iPhone or more directly from within the SeaNav app running on the watch. This appears to be a mistake/oversight by Apple (a lot of folks with fitness and cycling apps are complaining to Apple about battery drain) and hopefully they will address it in a future release. Just remember to force quit it on your Watch when you don’t need it running. 4. The wrist torch mode doesn’t work – looks like Apple won’t let the watch show a blank white screen (it worked in the simulator). We will take a look at how to get this working. For now you can use the AIS Map display to shed some light in the dark. 5. The watch screen is polarised to reduce glare and visibility is good on a bright day. Apple have got the polarisation right – just like on instrument displays on aircraft – it works fine with Polarised sunglasses. We tested with a pair of my son’s Ray-Ban Aviators and we could see the watch face fine. Previous Previous post: Independent trials of the Pocket Mariner AIS Dual channel receiver.